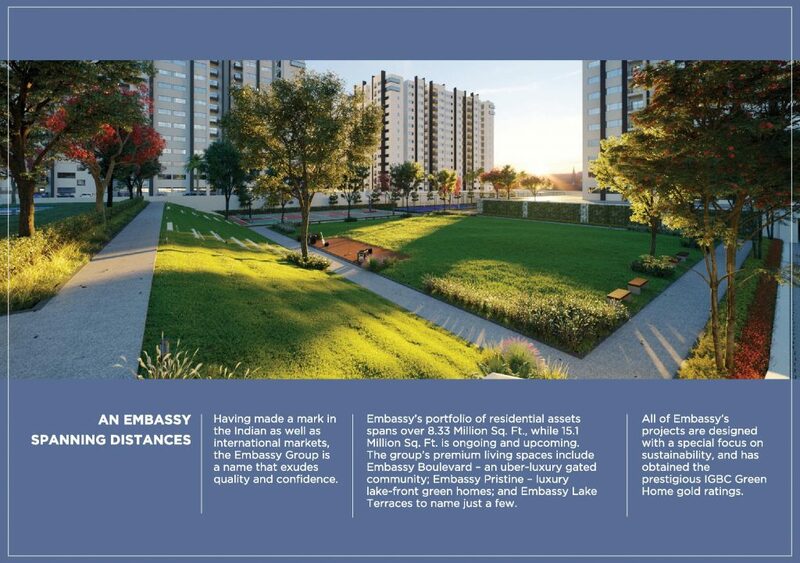 Embassy Edge, is a Luxury Under Construction Housing project located within the same 288 acres Embassy Springs development in Devanahalli, North Zone of Bangalore. 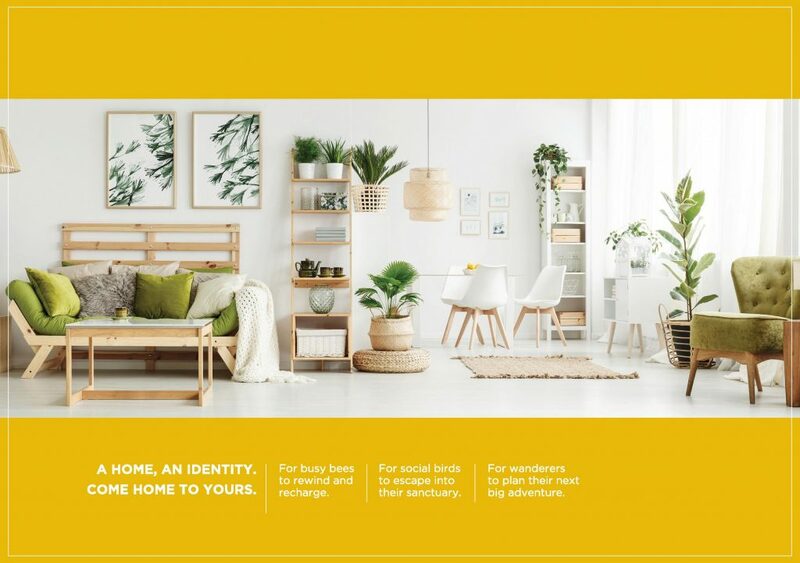 This newly launched venture will be constructed on 12 (Phase 1 ) acres of land, offering spacious 1 bhk, 2 bhk, 2.5 bhk and 3 bhk apartments. 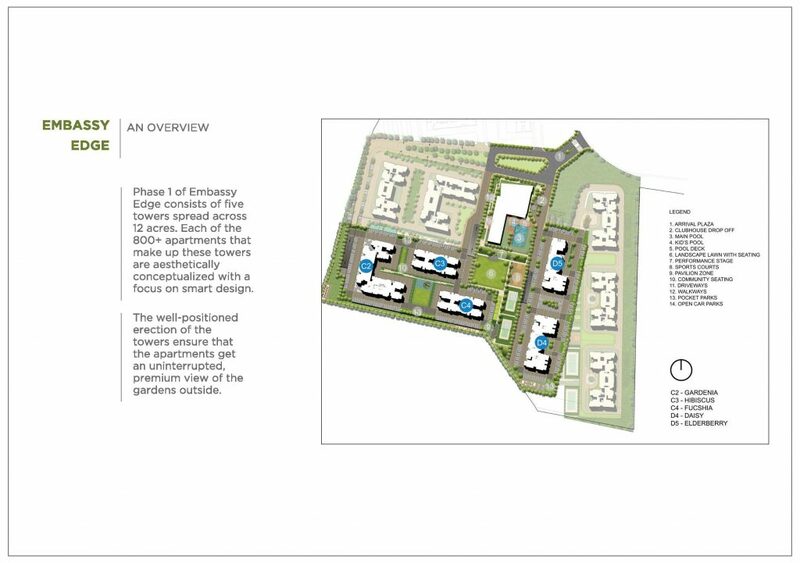 These abodes will be surrounded by lush greeneries and beautiful landscaped gardens. 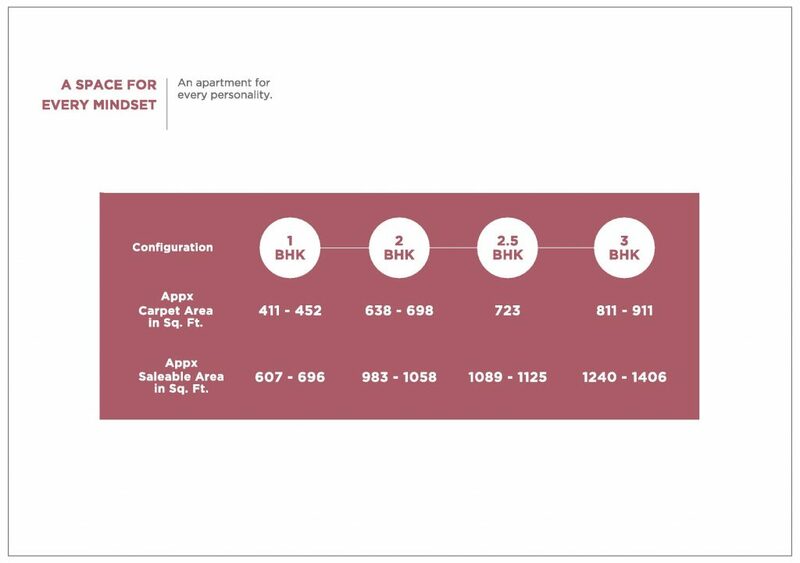 The apartments here will be available at an affordable price of 36 Lakhs onwards, range between 411 Sq ft – 911 Sq ft. 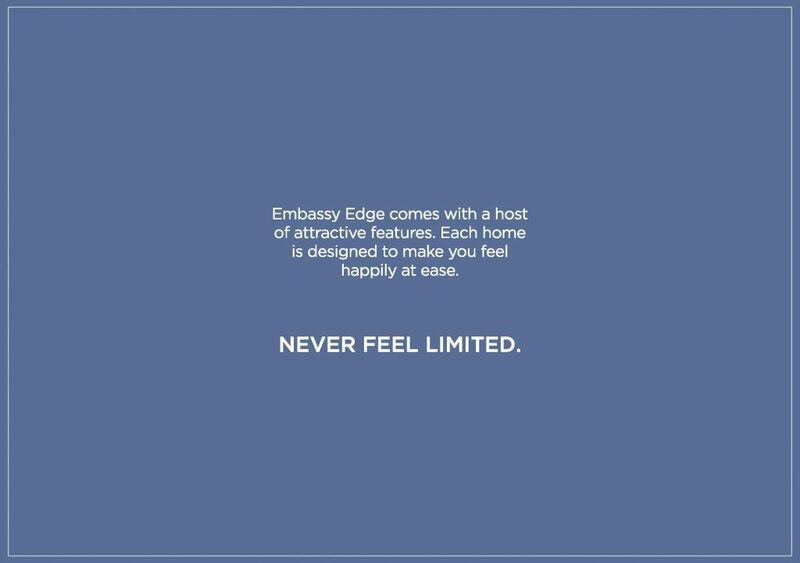 Along with the smartly designed high rise towers, Embassy Edge is providing world-class amenities and for its valued customers. 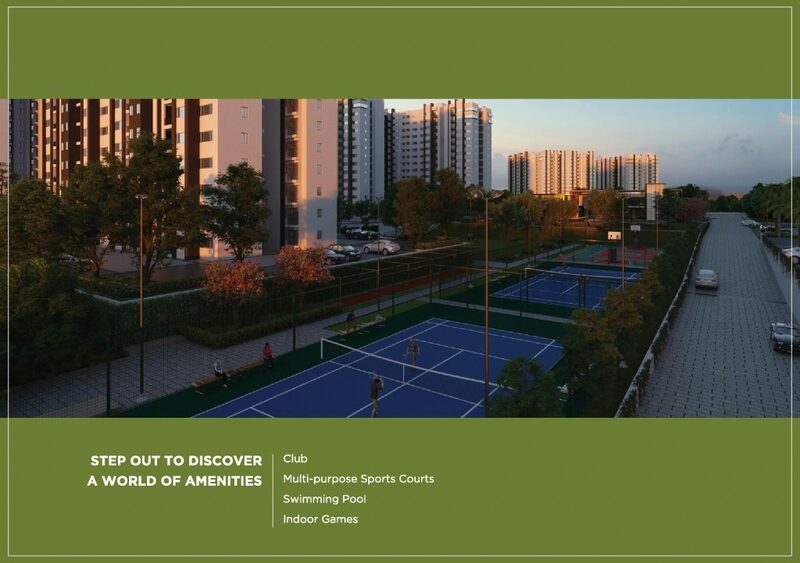 Some of these amenities are like Club House, Party Hall, Swimming Pool, Super Market, a Pool Table, Kids Play Area, Gym, Tennis Court, Basket Ball Court and many more. 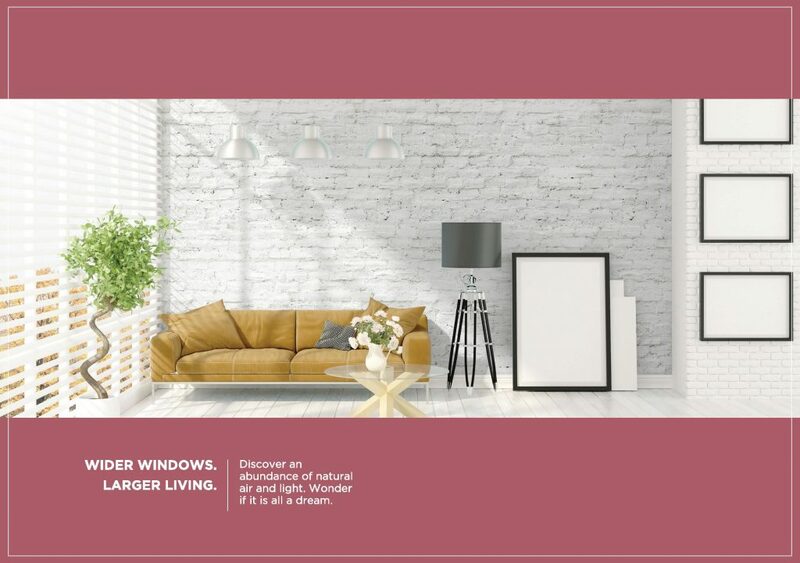 This premium residential township is situated in a fast-developing part of North Bangalore. Devanahalli is turning out to be a popular residential area due to its closeness to IT parks, industries and KIAL. People living here will have the proximity to shops, schools, hospitals, workplaces, retail stores and other entertainment places. 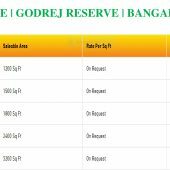 Due to the availability of large parcels of land at cheap price, Devanahalli has got many attractions from real estate builders. 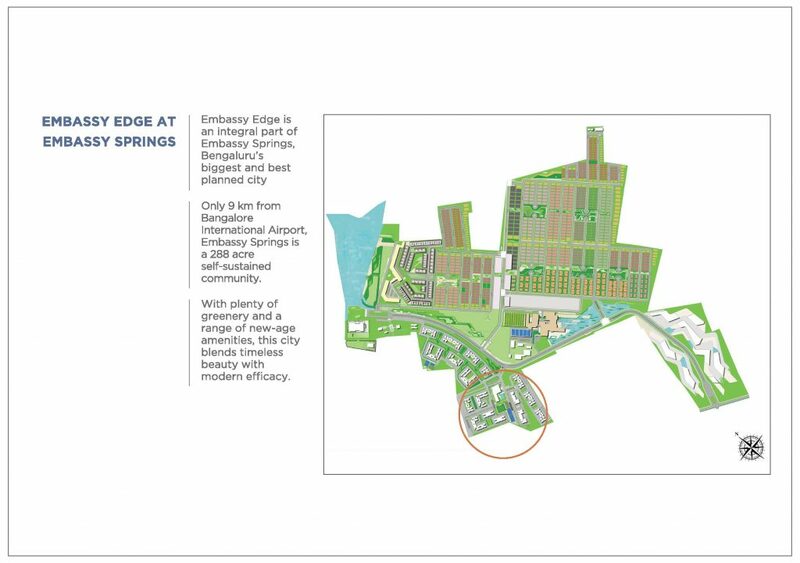 ->EMBASSY EDGE CONNECTIVITY- How to reach from all zones of Bangalore to this project (Take one of the well-known areas in every zone). 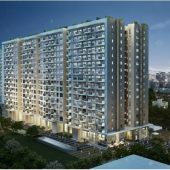 Devanahalli located in northern part of Bangalore, is turning out to be one of the prominent areas for residential dwelling. 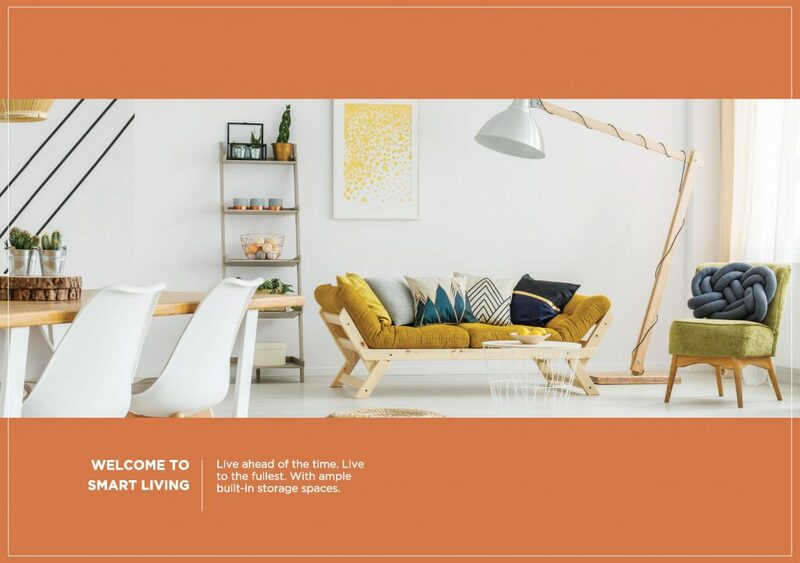 With NH 7 and 207 running through the locality, this place has all civic amenities nearby. The presence of International Airport has helped in improving the overall infrastructure of Devanahalli. 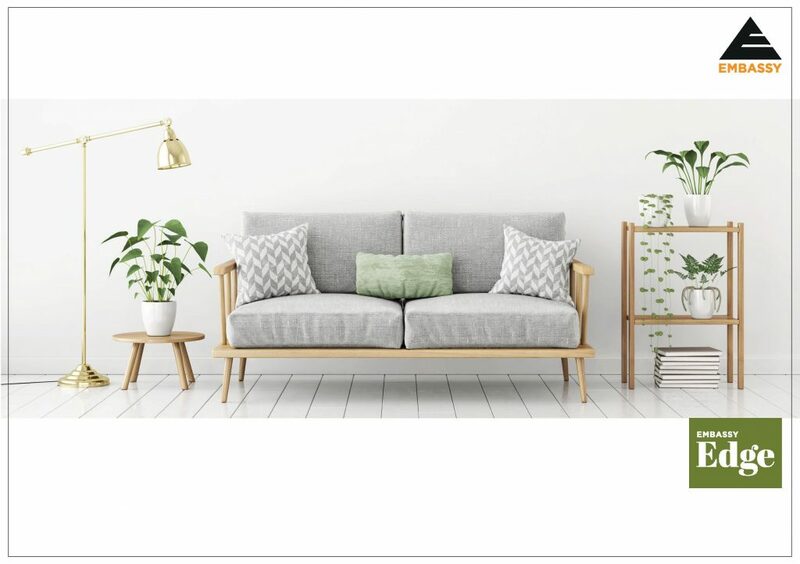 This region is very well connected to the Outer Ring Road, Tumkur Road and Old Madras Road making it a desired destination for real estate developments. 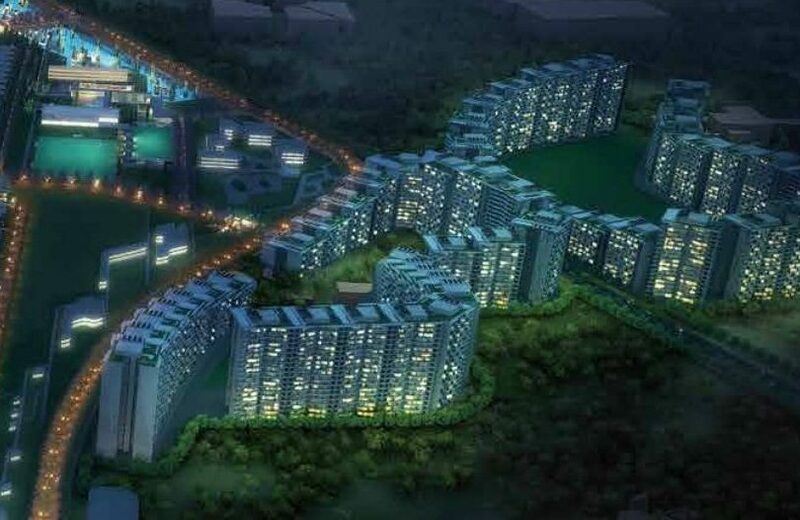 This place is also getting one of the largest IT parks which is sprawled across 5,000 million Sq ft and has already caught the attraction of many national and international IT giants.